This famous “Half Way Tree Church” has always been a building that I’ve wanted to paint, not just because of its historical and architectural value but because if its charm and poise situated there in the heart of Kingston, Jamaica. 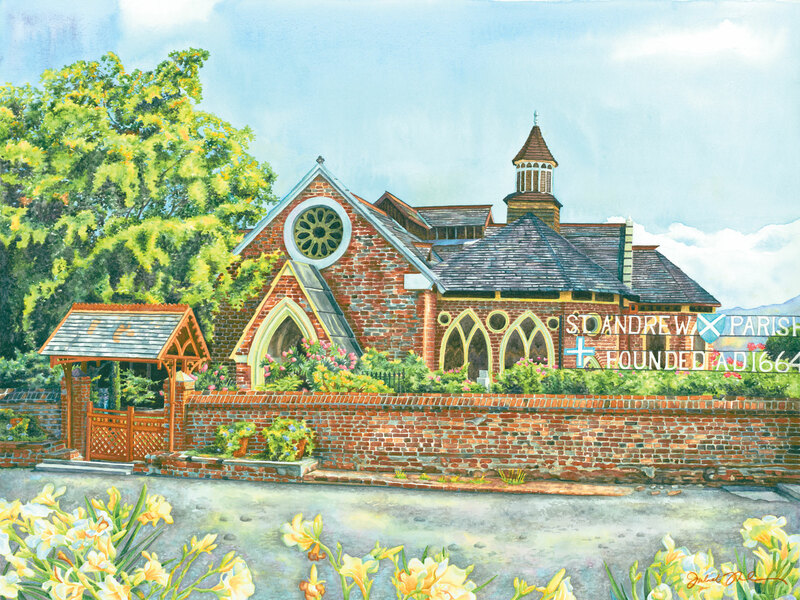 So here it is – another artists’ impression of St. Andrew Parish Church. This is a limited edition of 50 giclée prints on watercolor paper. The original painting has not been sold.